DIN Standards are invented for a variety of components including industrial fasteners as DIN 444 Eye Bolts. 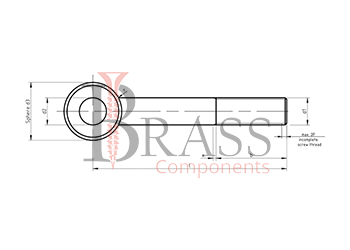 DIN 444 Eye Bolts are manufactured from stainless steel Grade A2 and A4, Brass, Plain Stainless Steel, Alloy Steel, Ordinary alloy steel or many other materials. DIN 444 Bolts are available in a wide range of sizes, shapes and materials. DIN 444 Bolts are Eye Bolts with the Hole in the head. Complies with Analogues GOST 14724-69, GOST 14725-69 and GOST 3033-79. Increases the Strength and Resistance to Corrosion of metal. Different Threads and Lengths are also available. The relatively long thread enables easy mounting at the desired location. Eye Bolts are often fastened with other type of nuts allowing the screw to be tightened and loosened Quickly. Used mainly for coupling up moulds, connections, equipment, etc. For fastening objects such as wire cables, hooks, pins and shackles. Used to secure loads or to fixate a position. Mainly used for jigs and fixtures. Used in the conditions of high humidity, without corrosion of metal. For connecting parts or used in conjunction with anchors in mechanical engineering, in construction and building. 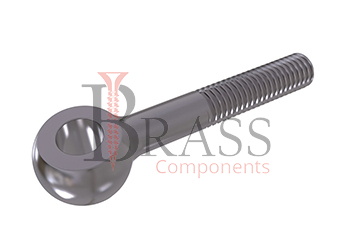 We manufacture DIN 444 Bolts as per Custom Specification and export in France, Italy, Switzerland, Poland, Greece, UK and other European Countries. For more Information, Please Contact Us or Inquiry Now.